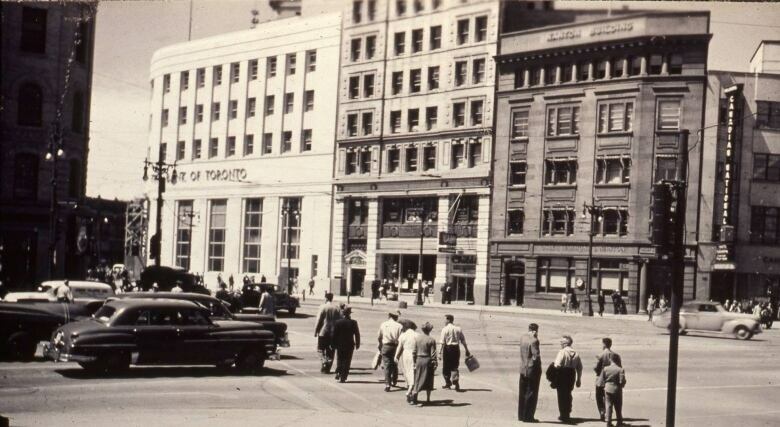 As Winnipeg considers reopening Portage and Main to pedestrians, a planning expert is commending a vision he thinks could help rejuvenate downtown. 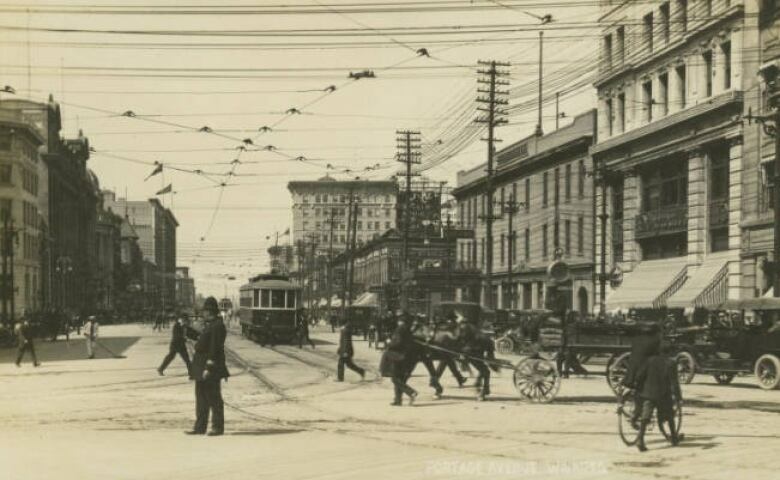 The same year Sony introduced the Walkman, Winnipeg barred walkers from its most famous intersection. 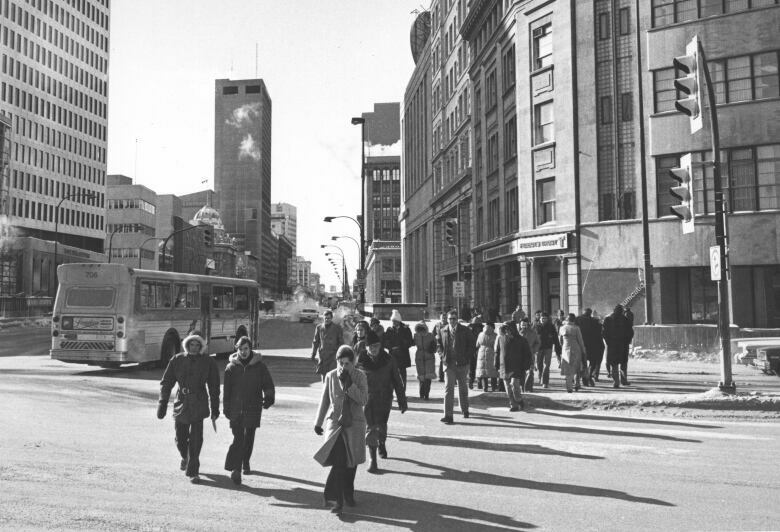 An entire generation has been born, come of age and had children of their own since the barriers went up at Portage Avenue and Main Street in 1979. 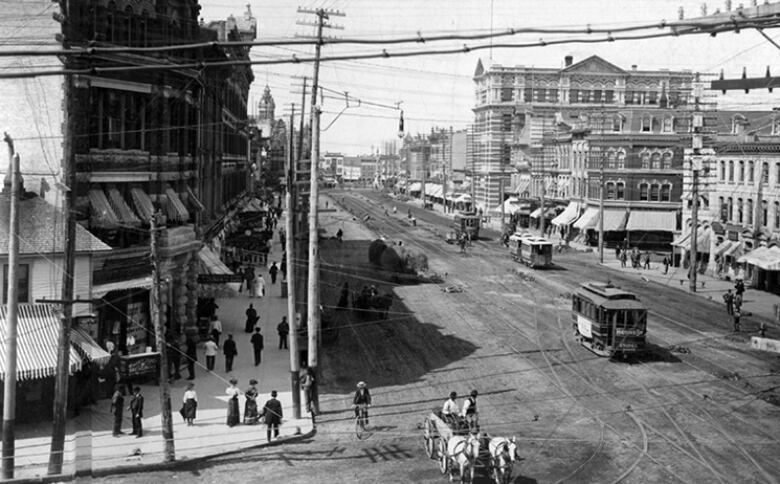 As the city ponders reopening what has been called the "heart of the city" and the "crossroads of Canada," a city planning expert is commending a vision he thinks could help rejuvenate downtown. 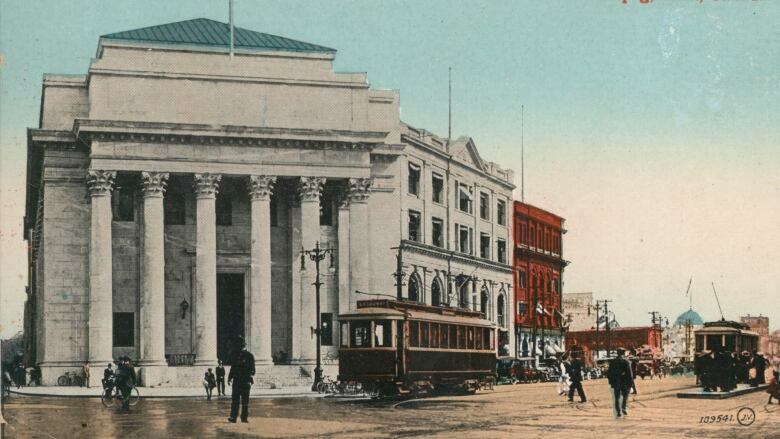 "It is an iconic intersection and it has lost its presence, but it could get its presence back," said Richard Milgrom of the University of Manitoba. 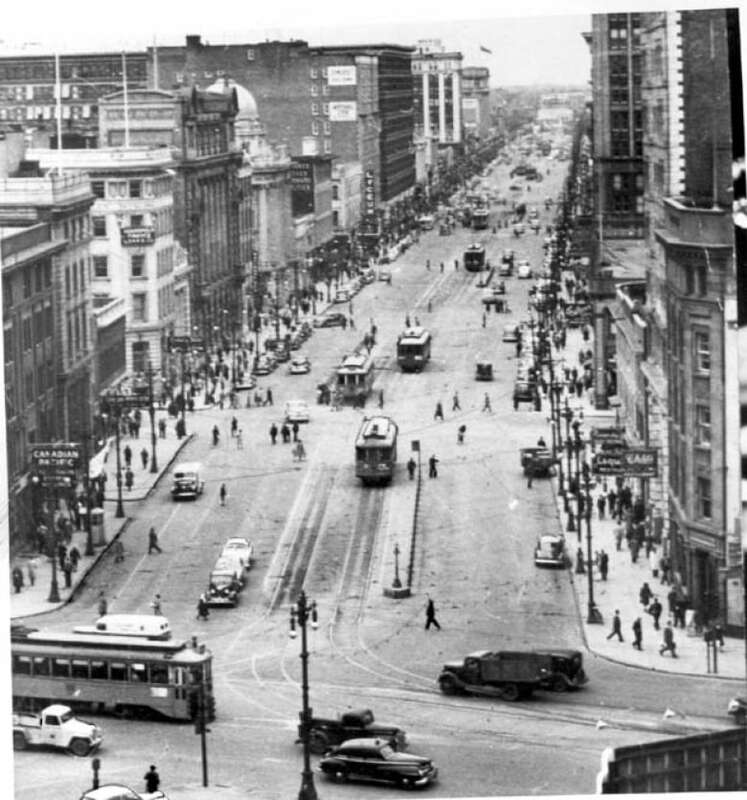 The associate professor in the department of city planning said old photographs of the corner during Winnipeg's early days show lively scenes with people and vehicles co-existing. 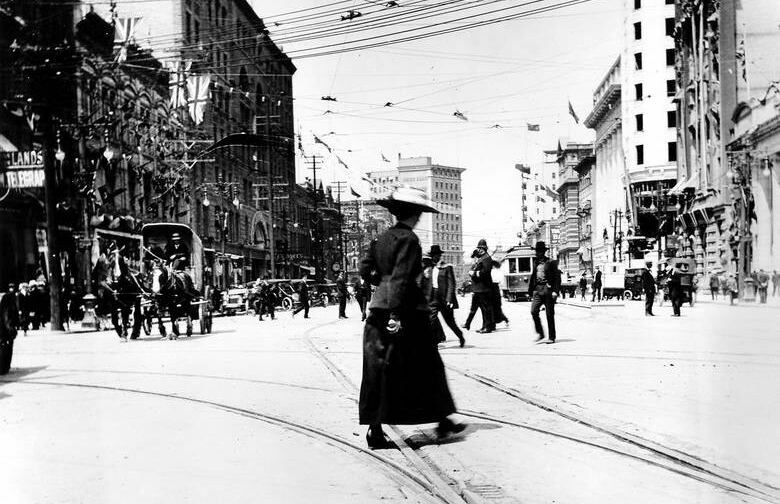 "They were taken at a time when downtown actually seemed to have a fairly vibrant pedestrian life, which it sort of has lost," Milgrom said. "The heart of the city shouldn't just be cars zooming through it. We need it to be a place where people want to be, and to linger." 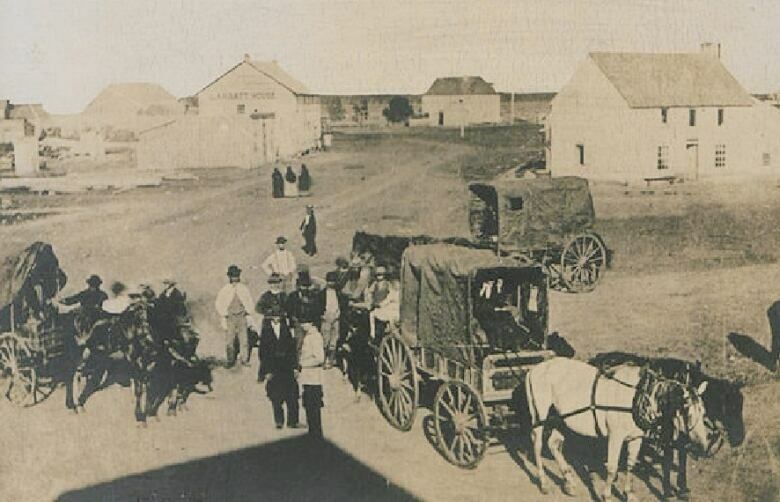 The intersection started out as a carved-out crossroads, where the western ox cart path to Portage la Prairie met the one heading north from Upper Fort Garry, near where the Assiniboine River flows into the Red. Henry McKenney decided to build a general store at the junction of those ox-cart paths. He closed the deal on June 2, 1862, and planted the seeds of what would become the future city's main location of commerce. 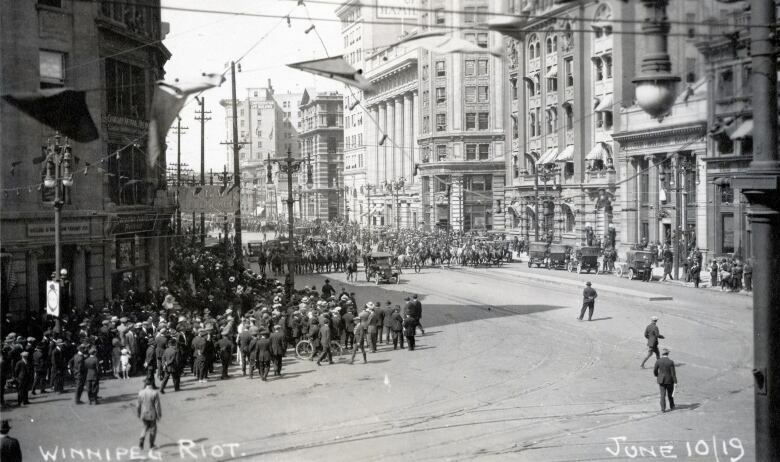 Through the years, Portage and Main was centre for the banking industry in Western Canada, the site of the tallest skyscrapers in Western Canada, and a location of significant events in the city's history, such as the Winnipeg General Strike. Despite being walled off in 1979, it's still the place people gather for major events — round dances, protests, rallies to save the Jets then later celebrate the NHL's return, and to honour Canada by forming a human flag. But those moments are always brief, with people quickly ushered out to allow traffic flow to resume. 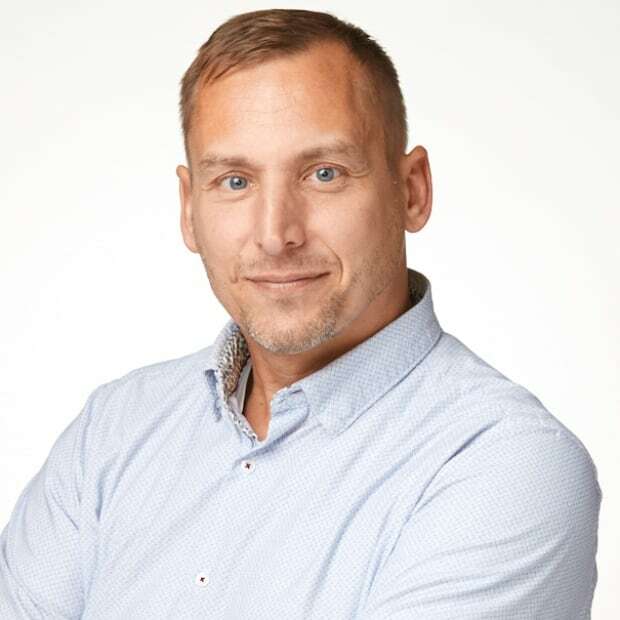 "You want it to be more than just about occasional events," said Milgrom. 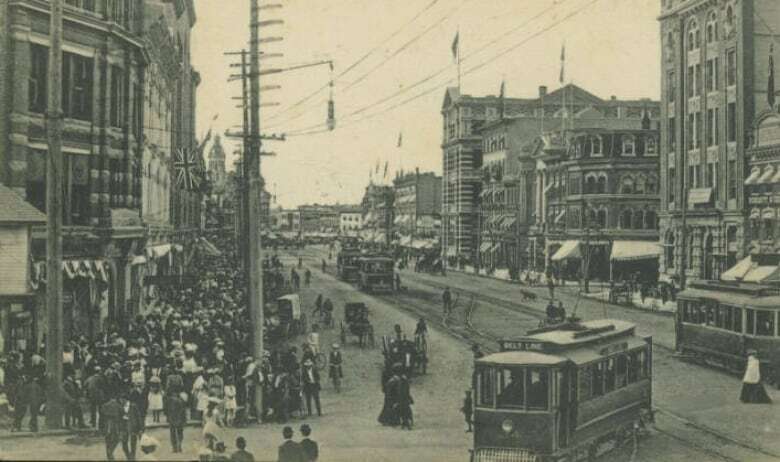 Pedestrians were chased underground and through a knot of hallways as part of a deal signed with the private developers of Winnipeg Square. Mayor Brian Bowman pledged during his first election campaign in 2014 to reopen the corner to pedestrians, eliciting cheers from some and igniting criticism from others. Those opposed predict traffic jams and fatalities as pedestrians negotiate the gauntlet of eight lanes. This past week the city said it will aim to open the first of four crossings within 18 months — 40 years after they were shut down — although the city's CAO, Doug McNeil, cautioned that date is just a target. 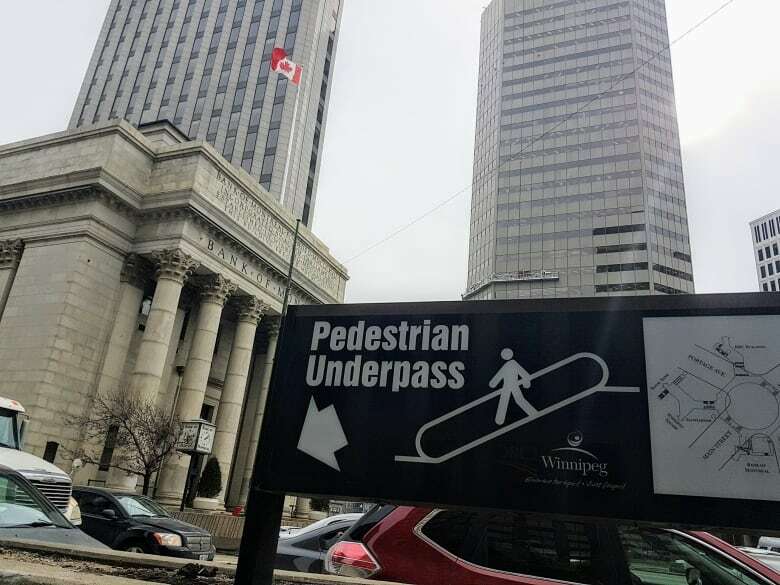 The plan, which must be passed by city council in order to proceed, would first allow pedestrians to cross Portage Avenue E., between Richardson Plaza and the Bank of Montreal. Cue the criticism once again, with another municipal election on the horizon in October. Mayoral candidate Jenny Motkaluk has said she will cancel the reopening plans if elected and current city Coun. Jeff Browaty has also vowed to fight the plan. 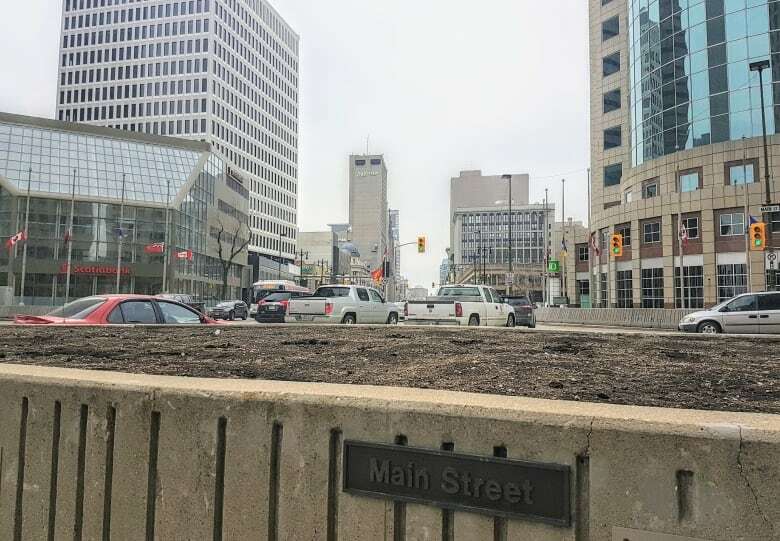 Milgrom said those who want the barriers to remain are ignoring the fact that Portage and Main is famous across the country and a place tourists want to visit. "It isn't taking advantage of our history and it isn't taking advantage of what is a potential amenity," he said. 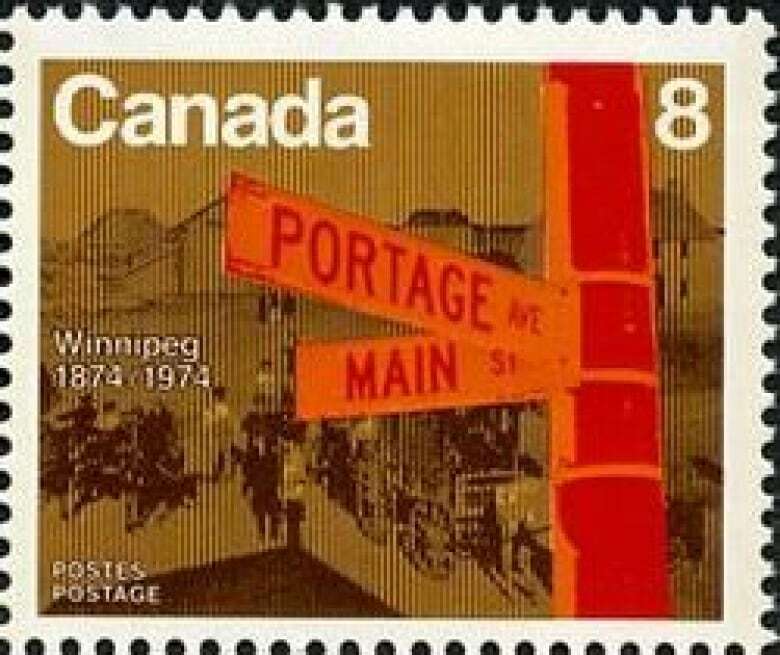 There are numerous cultural references to the intersection, including the 1992 Randy Bachman hit song Prairie Town, performed with Neil Young, that features a chorus repeating the line "Portage and Main, 50 below." It is also featured on an eight-cent stamp issued by Canada Post in 1974, the answer to a question in the Trivial Pursuit board game, and featured as a property on the Canadian Monopoly game board. 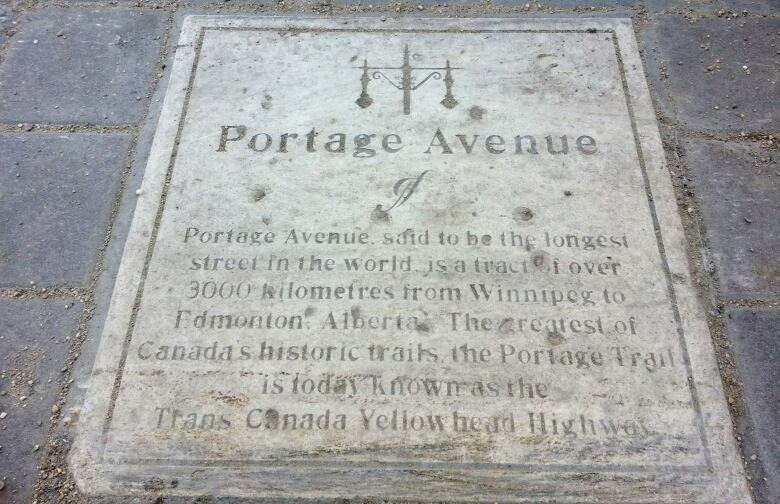 There is a plaque embedded in the sidewalk at the intersection, claiming Portage — which becomes the Trans-Canada Highway and then the Yellowhead all the way to Edmonton — is the longest street in the world. Not many people see the plaque, because they are below ground. Instead of being outside, they are directed into a confusing maze of a concourse, which further dissuades people from wanting to go to that part of the city, Milgrom said. "It becomes a vicious cycle: The less pedestrian-friendly you make it, the fewer pedestrians there are. So then why would we want to make it accommodate pedestrians if there aren't any going there?" he said. "We need to turn that ship around." Opening the intersection to pedestrians also creates a symbolic commitment to the overall health of downtown by putting an emphasis on being there as a person, not as a driver, Milgrom said. "It lets you engage with the city in a very direct way with downtown, not just passing through it." There have been efforts to boost the presence of people in downtown at all times, not just during the work day, by creating more residential spaces. 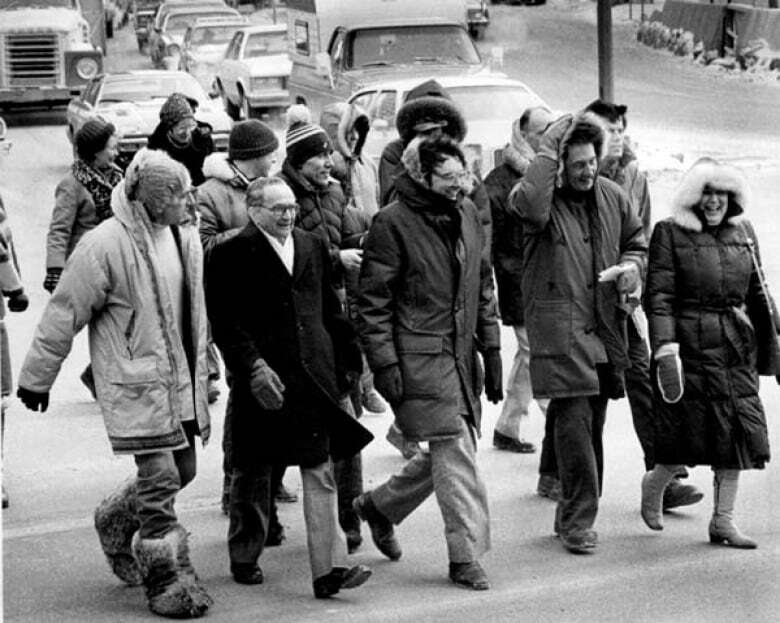 It has helped in some ways, but it has taken 30 years to go from 11,000 residents in the 1986 census to an estimated 16,800 now. It's not enough to just build condos and apartments, Milgrom said. "We need to change the discussion from being about 'How do we get through downtown quickly?' or 'Out of downtown quickly?' to 'What would make downtown a good place to stay?' " he said. "If we just keep designing it to be a way for cars to move through quickly, it's never going to feel attractive as a place for people to live, particularly for people with kids to live. "And part of the problem is that it's very difficult for some people to imagine what it would look like if it was different."